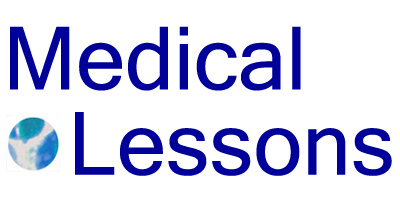 Medical Lessons – Why Not Tweet When You Are In the Hospital and Not Feeling Well? Readers use context to decide if a complaint is actually information. Most people know how to distinguish the unhinged reviews from legitimate complaints. You know who the unreasonable patient is… and so do his friends and the two people that can stand to follow his Twitter feed. I imagine you as a provider were already more measured in how you communicate with that person (and probably more diligent in how you documented that communication). Those normal rules of social engagement and social caution stay the same, they’ve just moved to (social) media. As for unpleasant and/or incompetent medical providers that were surviving in the “out of sight, out of mind” rules of patient feedback, there are more changes afoot (patient satisfaction surveys, effectiveness reviews) than just social media to make sure that their feedback comes back to haunt them and hurt their pocketbook. The struggles I have in being a patient are no different then the problems I face in daily life. I want to be treated with dignity & respect. I want to be spoken to not at or about. I want to be heard not disregarded or ignored. As a patient you are instantly vulnerable, you are figuratively & often literally naked dealing with trying to find the best, most effective way manage, treat & recover your health- a little kindness & understanding goes a long way. I value my privacy & respect that those treating me are also entitled to privacy but there has to be a basic understanding & mutual respect. If a patient feels abandoned & alone social media can become a cry for help, a search for someone that understands & makes us feel connected. Staff work as a team they have each other, the patient just wants to know they aren’t alone.